Scaled Networks: cutting out the middle men in recruitment? There’s a general consensus that the amount of people who freelance, work part-time or take unguaranteed shift work is on the rise. Cath Everett looks at Scaled Networks’ attempt to cut out the middle men in staffing agencies. 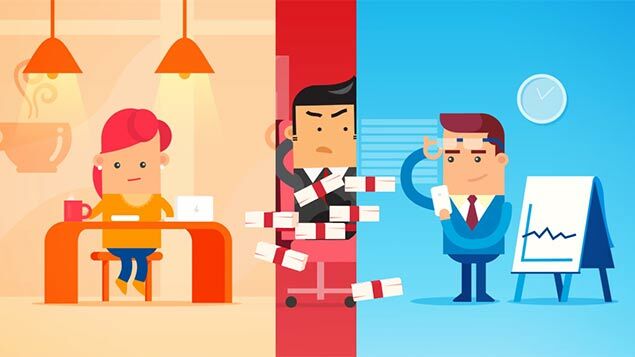 Often referred to as the “gig economy” or “portfolio working”, the terms encompass workers at both the high and low end of the employment spectrum who either choose, or are forced, to work in ways that are other than permanent and/or full-time. People at the top of the ladder comprise highly-skilled, relatively well-paid professionals such as software testers or web designers who are in high demand but want to work flexibly. But those at the bottom such as chambermaids or bar staff are often employed on temporary, fixed-term and zero hour contracts that are insecure and low-paid. The onset of artificial intelligence (AI) and robotics meanwhile, is only likely to compound this trend, particularly as both technologies are could lead to higher levels of unemployment overall. But in a bid to “smooth a pathway to the way employment will work in future” – for those at the lower end at least – Jim Green, founder and chief executive of start-up Scaled Networks is currently beta testing an AI-based recruitment platform called “Scaled” with two event management companies. He is also negotiating deals with “four of the top 15 most recognised hotels in the world”. Scaled is based on a database of people who sign up as being available for work via a mobile phone app. They then fill in a profile, which is supplemented by automated feeds from third-party organisations providing information such as qualifications and criminal records. Employers post what shifts they have available onto the platform and workers can search for them using keywords. Suitable candidates are also sent targeted notifications if their skills, experience, location and past performance match employers’ requirements, and they then opt for the shifts they are able to do. Employers select the most appropriate candidates by reviewing their profiles, watching short videos about them or undertaking interviews using Scaled’s private video calling functionality. When the shift is complete, employers simply approve individual time sheets and use a patented rating system to indicate if they’d be happy to use a given worker again or not and whether they should be treated as priority hires in future. “So the cream really does rise to the top”, says Green. Another benefit of the system, he adds, is that organisations have an easy way to expand their potential staffing pool without paying through the nose. Because, unlike recruitment agencies, which charge between 10% and 50% of the wage earned by the people on their books, Scaled Networks asks for a fixed transaction fee of £4 per worker, per shift. This is despite the fact that it acts as the “employer of record” and, like traditional agencies, handles activities such as payroll and validating people’s right-to-work. As a result, he believes the start-up, which is just about to embark on a third funding round, will have a potentially disruptive influence on the wider recruitment sector. The firm already has 3,000 workers in London signed up to its system, but hopes to have 4,000 people that it is regularly placing in work in the capital by the end of the year. The aim is then to expand across UK locations based on population size, which means that Birmingham, Manchester and Glasgow are next on the list. “In future, there’ll be less and less work available, but it’ll be on a more and more on demand basis. So we wanted to create a platform that would divide it out in as meritocratic and fair way as possible among the people who were willing and available to do it,” Green concludes. One Response to Scaled Networks: cutting out the middle men in recruitment? this will lead to alot of shoddy, hurried work, and eventually loss of customers. yes! do it then no one will be a slave to a job.